As many as 85% of adults diagnosed with Autism Spectrum Disorder (ASD) are unemployed. Moreover, those that do find a job end up with limited opportunities for advancement. There are barriers on both sides of the equation: a lack of training and support specifically for individuals with ASD, and a misunderstanding of Autism in general. 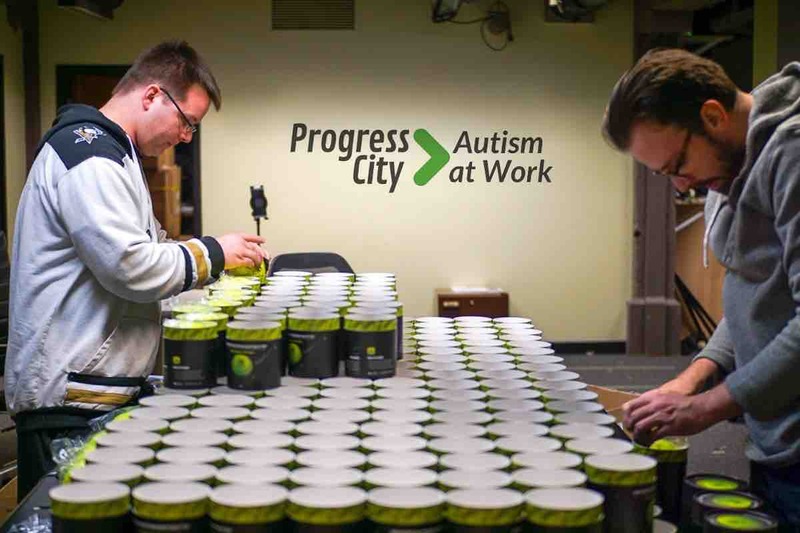 Through our Autism at Work program, we’re working to change the perception of Autism in the workplace and provide opportunities for sustainable employment. The program consists of four key elements: Engage, Experience, Assess, and Advance, that will do more than just place people in jobs, but will also develop the skills and understanding needed for sustainable employment. We’re creating real work experiences by partnering with local companies to provide much-needed work opportunities. Our goal is to create controlled work environments that can be run from start to finish by individuals with ASD. We're looking to expand by creating a hub for skills, training, and social awareness where individuals with ASD can gain employment experience, practice social interactions, and have a venue to share their artistic expressions in photography and art. This is where you can help. Our concept is simple: Create a popup cafe that allows participants to run all aspects of a business and interact with the general public. Trained staff will conduct assessments and interventions to help develop the skills needed to be independently integrated into the workplace. At the end of the program, participants will receive support in finding sustainable employment, as well as retirement planning, education, and work assistance. Some participants may even be interested in business ownership in the form of a franchised popup cafe. By helping us get this much-needed project off the ground, you’ll be investing in the lives of many who are looking for opportunities for inclusion and development. Funds raised will be used to pilot this popup cafe experience employing adults with ASD. Each person will gain meaningful work experience, assessments and coaching in social and communication interactions, skill development, and opportunities to find sustainable employment. In addition, we believe that regular, real world interactions between adults with ASD and customers will help break down social stereotypes. To learn more about these challenges adults with Autism face, check out this short segment of The Rain Man Effect. Thank you for your time, and please consider helping us make this dream a reality. Need a compelling story as to why we need to change the perception of Autism and provide pathways to inclusion in the workplace? Check out this 16 minute clip of The Rain Man Effect, and consider helping us launch our project next month.